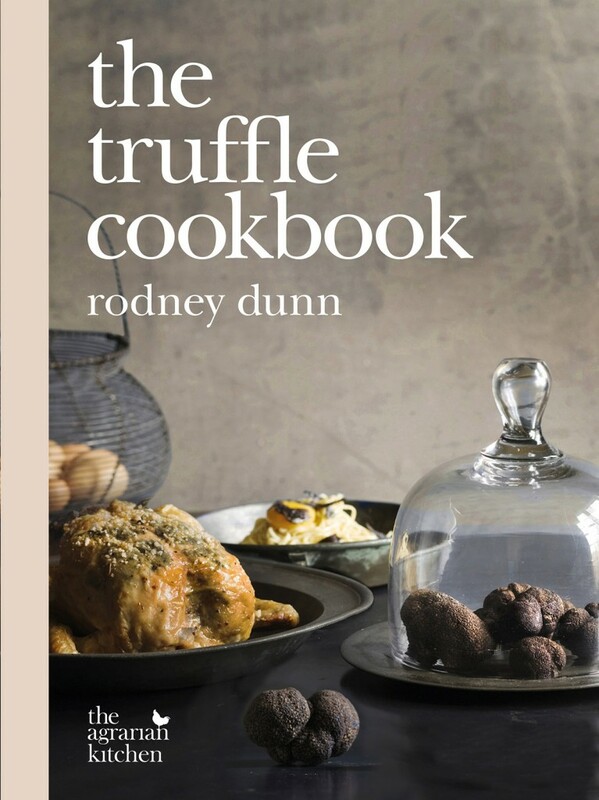 The Truffle Cookbook - Rodney Dunn. Book review. Cooking with truffles doesn’t have to be complicated. My favourite truffle dish is scrambled eggs. The way we make it requires a bit of forethought, as the eggs need to be stored for a day or two in a sealed container with a truffle. The truffle aroma penetrates the eggshells and is absorbed by the yolks. You don’t even need to add truffle to the dish – the flavour is already there. In The Truffle Cookbook Rodney Dunn agrees. He makes his scrambled eggs with truffle butter and it’s just one of a number of easy dishes designed to introduce you to the extraordinary flavour of this extraordinary black fungus. “When using truffle for the first time, I advise you to keep it simple,” Rodney says. So, truffle toast, truffled mashed potato, truffled mac and cheese. But he goes way beyond simple. The Truffled Coulibiac, which he describes as a “very grand fish pie of Russian origin”, is a complicated assembly of puff pastry, crepes, mushrooms, rice, eggs and salmon fillet. And truffles, of course. Dunn will also have you making your own truffled sausages, your own pasta, and your own brioche doughnuts (to be accompanied by truffled custard and poached quince). 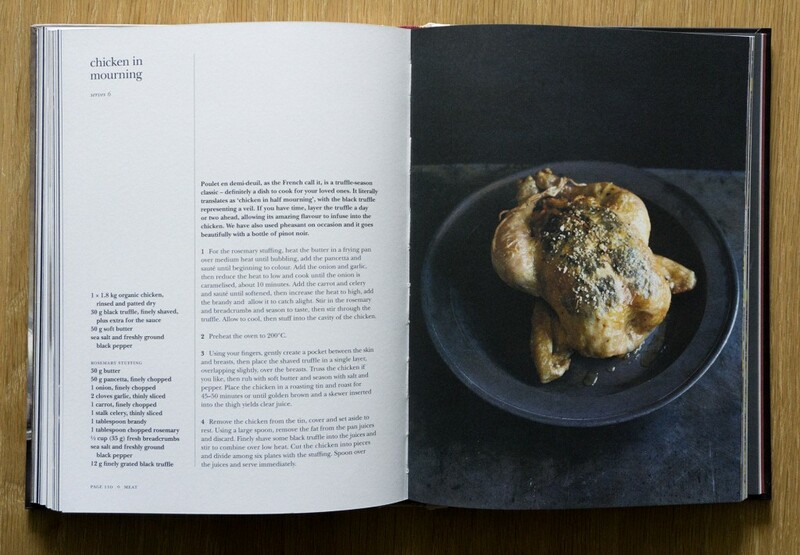 Each recipe has a chatty introduction, with comments on the key ingredients or suggesting variations. The step-by-step instructions are also conversational and clear, although it might have been helpful to include an indication of prep time and cooking time for each one. And most of these are not one-pot dishes; there’s a lot of “meanwhile….”, so you’ll often have several pots on the go. The Truffle Cookbook starts with a quick education in truffles – what they are, how they’re grown and harvested and how to buy them. Dunn has consulted a number of truffle growers to inform this section and drops a few names that people in the industry will recognise. Unfortunately, despite this, some errors have slipped through. Those who know their truffles will sneer when they read that, in the case of black truffle (tuber melanosporum), “the truffle should be jet-black with white mycelium”. Rodney, the mycelium is the truffle’s underground network of fine white filaments called hyphae that reach out into the soil. You don’t find them inside the part we eat, which is the fruiting body of the fungus. The “cooking with truffles” section also omits a few important bits of information. For example, while “heat and acid” may release the truffle flavour, too much of either will destroy it. You should generally be thinking warmth rather than heat, which is why in many dishes truffle is added at the end of the process. Don’t try frying a truffle, OK? The other thing you need to know is how much truffle to use. Truffles are expensive, so it’s tempting to skimp. Ultimately, though, this is wasteful – if you don’t use enough for the taste to come through you might as well leave it out altogether. Generally it’s recommended that you allow three to five grams per person for an entrée dish and closer to ten grams per person for a main course. Perhaps this isn’t an issue if you’re simply following Dunn’s recipes, but it’s handy information if you’re going to start improvising. The recipes in The Truffle Cookbook have been photographed by a chef-turned-photographer, Luke Burgess, who cooked with the author at Tetsuya’s back in the day. It’s Australia’s first proper truffle cookbook and is a worthy addition to the shelf, whether you’re a truffle newbie or looking for more exotic ways to enjoy this mysterious and magical treat. It’s due for release on 30 May 2016 – you can pre-order from Booktopia (and save $15 or so on the recommended retail price).